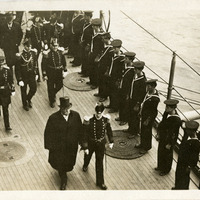 This postcard features a black and white photograph of President Taft and Secretary of the Navy George Meyer aboard the battleship Arkansas- one of the United States newest dreadnought battleships. 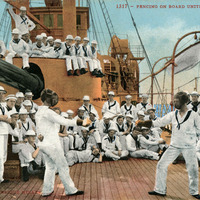 This postcard features a color painting of a photograph that depicts life and activities aboard a United States Naval vessel in the early 1900's; in this case fencing. 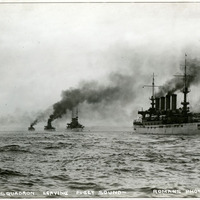 This postcard features a black and white photograph of several vessels of the United States Navy leaving Puget Sound. Ships like these would make up the Great White Fleet that sailed around the globe. 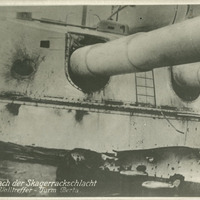 This black and white postcard is of a damaged main gun turret from the German battlecruiser SMS Seydlitz following the Battle of Jutland. 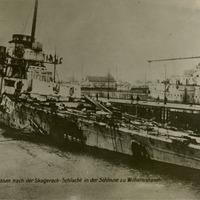 This black and white postcard is of the German battlecruiser SMS Seydlitz following the Battle of Jutland in 1916- showing the extensive damage it suffered as a result of numerous large shell hits. 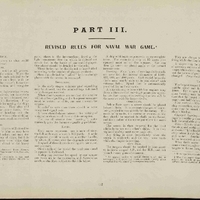 This Jane's warships reference book is from 1905-1906 and contains updated rules for the Jane's naval war game, as well as information on warships of various navies of the world. This United States War Department Recognition journal is from May of 1944, and details ships, planes, and land vehicles of the primary combabtants of World War 2. 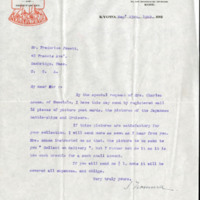 This typed letter addressed to Mr. Jewett from Mr. Nomura describes the sending of 18 Japanese ship postcards for Mr. Jewett's collection. 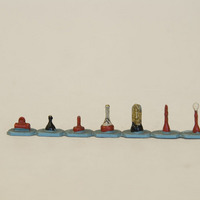 This painted model depicts a set of buoys and markers used in the Jane's Naval wargame. 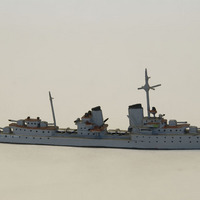 This painted, 1/1200 scale waterline model is of a typical German destroyer. A class of ships that came into their own during the First World War, they were used even more extensively in World War 2. 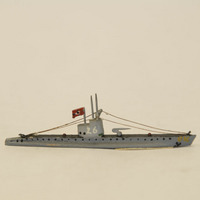 This painted, 1/1200 scale waterline model is of a German submarine. The Germans made use of submarines to attack allied shipping in both world wars. 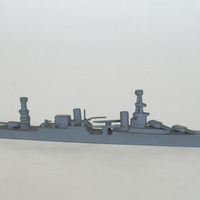 This black, 1/1200 scale waterline model is of the United States cruiser USS Houston. It took part in the early Pacific Theater actions before being sunk by the Japanese at the Battle of Sunda Strait. 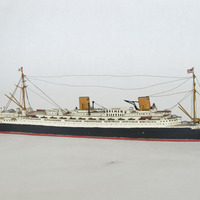 This painted, 1/1200 scale waterline model is of the German liner Bremen. It was a large and advanced ocean liner that eventually was gutted by a fire early on in the Second World War and subsequently scrapped. 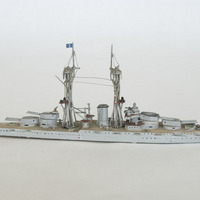 This painted, 1/1200 scale waterline model is of the French battleship Dunkerque. Designed as a fast battleship, It was heavily damaged by the British at Mers el Kebir to prevent it falling into German hands. 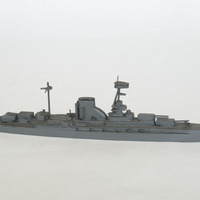 This painted, 1/1200 scale waterline model is of the United States battleship USS Nevada. It was present during the Japanese attack on Pearl Harbor and was the only battleship to get underway. It survived and served until the end of the war. 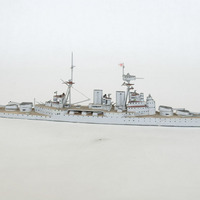 This painted, 1/1200 scale waterline model is of the British battlecruiser HMS Hood. It became famous for its short battle against the German battleship Bismarck, where it was destroyed early in the battle with the loss of all but three of its crew. 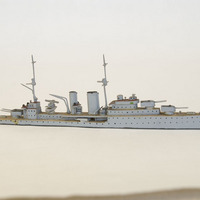 This painted, 1/1200 scale waterline model is of the British cruiser HMS Exeter. A heavy cruiser, it became known for taking part in the Battle of the River Plate against the German battleship Graf Spee. 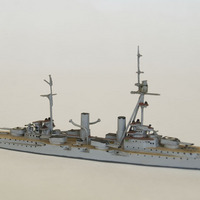 This black, 1-1200 scale waterline model is of the British cruiser HMS Achilles. It was a light cruiser that took part in the Battle of the River Plate against the German battleship Graf Spee. 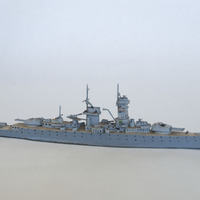 This painted, 1/1200 scale waterline model is of the German pocket battleship Graf Spee. Designed as a fast commerce raider, it famously was scuttled by her crew after the Battle of the River Plate early in World War 2. 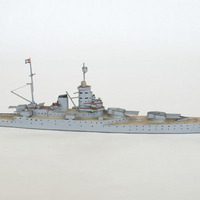 This black, 1/1200 scale waterline model is of the British battleship Queen Elizabeth. The first of the fast-battleships; it carried 8x15" guns and was a veteran of both world wars. 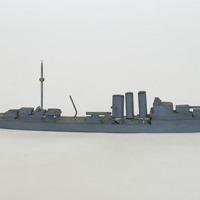 This black, 1/1200 scale waterline model is of the German cruiser Blucher. The last armored cruiser built by Germany, it was obsolete before her launch due to the British battlecruiser HMS Invincible. 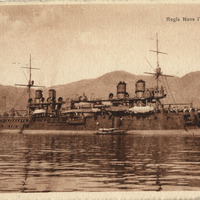 This postcard features a black and white photograph of the 1870's Italian battleship Italia. With 17" guns, high speed, and low armor protection this ship is sometimes called a proto-battlecruiser. 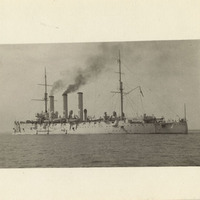 This postcard features a black and white photograph of the late 19th century Russian cruiser Aurora which was a key location in the Russian Revolution and is currently preserved as a museum ship. 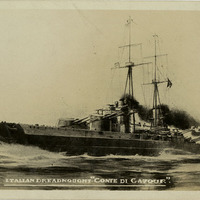 This postcard features a black and white painting of the Italian dreadnought Conte Di Cavour at sea. 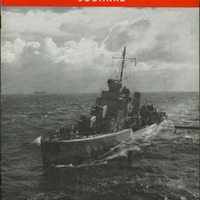 This ship was extensively modernized between the wars and served into World War 2. 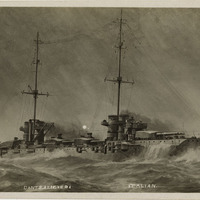 This postcard features a black and white painting of the first Italian dreadnought, Dante Aligheri, at sea. 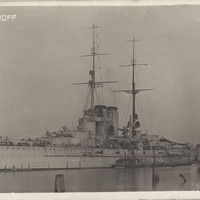 This postcard features a black and white photograph of Tegetthoff, the lead ship of the sole class of dreadnoughts constructed by the Austro-Hungarian Empire. 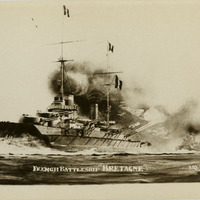 This postcard features a black and white painting of the French super-dreadnought Bretagne firing its main guns in a broadside manner. 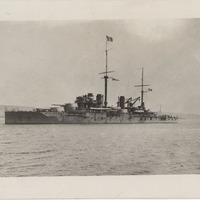 This postcard features a black and white photograph of the French battleship Courbet in calm water. The first class of dreadnought type battleships that France built. 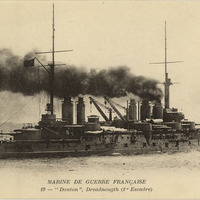 This postcard features a black and white photograph of the French pre-dreadnought Danton at sea. The last class of French pre-dreadnoughts, they were obsolete before they were launched due to HMS Dreadnought being launched earlier. 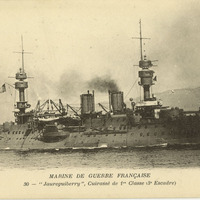 This postcard features a black and white photograph of the French pre-dreadnought Jaureguiberry at sea. An 1890's design, this ship was designed as a response to the British Royal Sovereign class.